How? By storing your boat, ATV, and other large items with us in exchange for a loan you can use now: to pay bills, cover unexpected expenses, and do just about anything else. Take a look at today’s blog to explore the benefits of utilizing Auto Pawn as your summer storage solution! Summertime is the season of carefree fun, laidback days outdoors, and an appreciation for the simplest of pleasures. Why let financial uncertainty put a stop to that? You deserve a chance to enjoy your summer to the fullest. 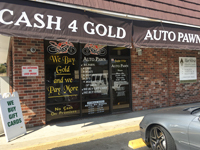 With the dependable service of Auto Pawn, you never have to wonder whether you’ll be able to pay next month’s bills or any surprise expenses that may come up along the way. We accept it at all—from cars to collectibles to just about anything else in between up to $100,000 in value. Cleaning out your garage this summer? Or maybe looking for a place to store your boat, ATV, or RV while it’s not in use? 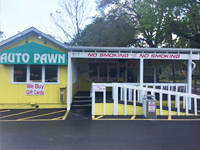 While Auto Pawn may not be your traditional storage solution, it can work as one all the same. If your need for storage happens to coincide with your need for some added cash, we’re here and happy to help! Why turn to Auto Pawn for this kind of summertime solution? It’s simple—we do what others can’t! 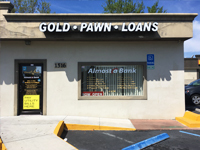 While other pawn stores may be able to offer you loans on certain collectibles and items of value, we can actually provide a space to store even the largest of items. Boats, RVs, ATVs—they can feel pretty bulky, especially when your garage or driveway is short on space. Space, of course, is our specialty! While other commercial storage options exist, they don’t offer you a loan in return for your big-ticket items. We do. Whether you’re interested in receiving a loan on items big or small, we can help. Gain some financial peace of mind while clearing up space in your garage or home today!